This article is a part of a series on my three literary mentors: Karen Blixen, J.R.R. Tolkien and Antoine de Saint-Exupéry. The series could be said to follow Kierkegaard´s three stages on the way to becoming a true self: the aesthetic, the ethical, and the religious. Each of these “stages on life’s way” represents competing views on life and as such potentially conflicts with one another. In my interpretation Karen Blixen belongs to the aesthetic stage. Tolkien and Saint-Exupéry belong to the ethical and religious stage, though this doesn´t mean that aesthetics not is a part of their work. It certainly is. After all: their works are of a high literary quality, and the concept of beauty is quite central. The three stages on life´s way is in my version a grounding movement from the head to the heart. This might seem odd, since many would consider it to be the opposite way around, but in my interpretation the movement is intimately connected to my concept of The Peter Pan Project, where the central message is: Rediscover the child within! 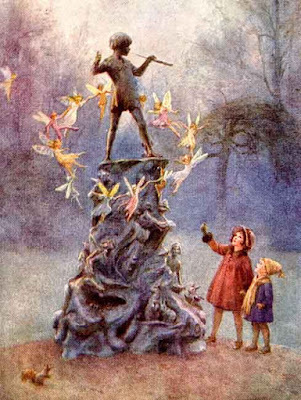 Childhood games of make-believe is an important element in The Peter Pan Project combined with the art of seeing life as a play without reason (see my free Ebook Philosophical Counseling with Tolkien, chapter 5, part 3, The Peter Pan Project). Neverland is a fictional location featured in the works of J. M. Barrie and those based on them. 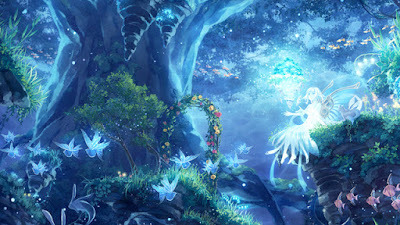 It is an imaginary faraway place, where Peter Pan, Tinker Bell, the Lost Boys and other mythical creatures and beings live. Although not all people who come to Neverland cease to age, it´s best known resident (Peter Pan) famously refused to grow up. The term is often used as a metaphor for eternal childhood (and childishness), immortality, and escapism. 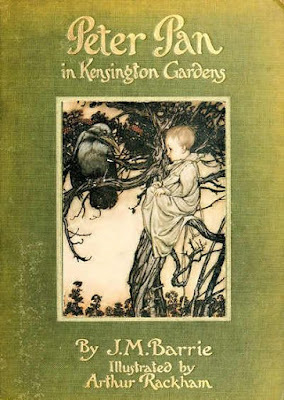 The latter is in my view not entirely fair though, because the novel Peter Pan in Kensington Gardens, which is the prequel of the more famous novel Peter and Wendy, has intimately to do with a little boy whose heart has been broken due to that his mother is loving another child. Peter is a seven-day-old infant who, "like all infants", used to be part bird. Peter has complete faith in his flying abilities, so, upon hearing a discussion of his adult life, he is able to escape out of the window of his London home and return to Kensington Gardens. Upon returning to the Gardens, Peter is shocked to learn from the crow Solomon Caw that he is not still a bird, but more like a human – Solomon says he is crossed between them as a "Betwixt-and-Between". Unfortunately, Peter now knows he cannot fly, so he is stranded in Kensington Gardens. At first, Peter can only get around on foot, but he commissions the building of a child-sized thrush's nest that he can use as a boat to navigate the Gardens by way of the Serpentine, the large lake that divides Kensington Gardens from Hyde Park. Although he terrifies the fairies when he first arrives, Peter quickly gains favour with them. He amuses them with his human ways and agrees to play the panpipes at the fairy dances. Eventually, Queen Mab grants him the wish of his heart, and he decides to return home to his mother. The fairies reluctantly help him to fly home, where he finds his mother is asleep in his old bedroom. Peter feels rather guilty for leaving his mother, mostly because he believes she misses him terribly. He considers returning to live with her, but first decides to go back to the Gardens to say his last good-byes. Unfortunately, Peter stays too long in the Gardens, and, when he uses his second wish to go home permanently, he is devastated to learn that, in his absence, his mother has given birth to another boy she can love. Peter returns, heartbroken, to Kensington Gardens. Peter later meets a little girl named Maimie Mannering, who is lost in the Gardens. He and Maimie become fast friends, and little Peter asks her to marry him. Maimie is going to stay with him, but realises that her mother must be missing her dreadfully, so she leaves Peter to return home. Maimie does not forget Peter, however, and when she is older, she makes presents and letters for him. She even gives him an imaginary goat which he rides around every night. Maimie is the literary predecessor to the character Wendy Darling in Barrie's later Peter and Wendy story. Throughout the novel, Peter misunderstands simple things like children's games. He does not know what a pram is, mistaking it for an animal, and he becomes extremely attached to a boy's lost kite. It is only when Maimie tells him that he discovers he plays all his games incorrectly. When Peter is not playing, he likes to make graves for the children who get lost at night, burying them with little headstones in the Gardens. So, maybe Peter Pan, like The Little Prince, is more like a children´s story for adults. Karen Blixen is certainly not for children. She is for adults. Tolkien represents a movement towards the child, and Saint-Exupéry is about rediscovering the child in us all; the last religious stage which in my view is the mystical experience. Both ethics and religiousness belong to the heart. In my view. Authors like Karen Blixen, Tolkien and Saint-Exupéry see the universals in man and life. Whenever we think of an abstract universal, we have to use a particular concrete image. But the converse is also true: whenever we recognize a concrete particular as intelligible and meaningful, we use and abstract universal to classify it, to categorize it, to define it: we see or imagine the Bedouin as a man, not an ape. “Here is my secret. It is very simple: It is only with the heart that one can see rightly; what is essential is invisible to the eye”. And this technique is precisely what shows the spirit in Catholicism, instead of the usual boring and dried out theology. This is also the reason why so many people are getting surprised when realizing this; often people who otherwise are enemies of the Catholic Church. 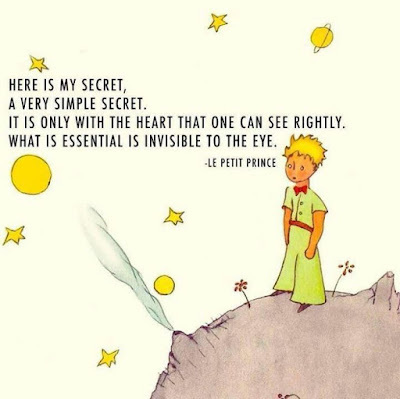 The same could be said about Saint-Exupéry´s The Little Prince. The Lord of the Rings never shows us a choice for or against any explicitly religious or supernatural faith. But it shows us many choices for or against natural faith as a way of knowing. It is the Hobbits who best exemplify the epistemological virtue of faith because of their humility. Humility is not only a moral virtue but an epistemological virtue too. The Hobbits show this virtue because they are relatively innocent and childlike (and sometimes even childish, which is not a virtue); and this apparent weakness, surprisingly, is their strength – as Gandalf, alone among the great Wizards, sees (LOTR, p. 264). Sauron and Saruman both discount the Hobbits, to their peril. Both have their kingdoms destroyed by the work of the Hobbits! 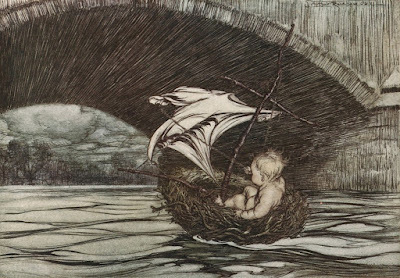 There is a truth in Andrew Lang´s words (sentimental though they may sound): “He who would enter into the Kingdom of Faërie should have the heart of a little child.” For that possession is necessary to all high adventure, into kingdoms both less and far greater than Faërie. But humility and innocence – these things “the heart of a little child” must mean in such a context – do not necessarily imply an uncritical wonder, nor indeed an uncritical tenderness (On Faeire-Stories”, p. 43). Faith is not foolish or irrational. I believe that the concept of faith is exceptionally shown in both Tolkien´s and Saint-Exupéry´s works. It has to do with wonder (and enchantment), and is therefore also the beginning of philosophy. ”Already from the beginning wonder made human beings philosophize and still does it”. This statement from Aristotle goes back to Plato and is also applying for today. Philosophy begins with, that human beings are wondering. We all know, how curious children are. Children want to know something and see much more, than the adults do, they catch sight of things, which the adults not even put notice to. Children’s nature is much more watchful, much more curious and eager to learn. They are lost in being. It is therefore children have so easy learning mathematics, geography or whatever subject. When we become older, our mind progressively becomes crystalized, it stiffens, becomes heavy and dull. We stagnate. We begin to have prejudices about everything and everybody. The mind is no longer open, to any problem we have taken position in advance. We are lost in becoming, or in the will to power. Said in another way: we are getting stuck in our heads. The child is curious after knowing all about everything: why the sun is shining, what the stars are, all about the moon and the world around us; but when we become older, our knowledge only becomes a collection of information devoid of passion. We become specialists, we know a great deal about one or the other subject, but we don´t care much about, what happens around us, about the need and the misery in the world, about the stars and the beauty. If we want to know, why there is wealth and poverty in the world, we can find an explanation. There is an explanation for everything, and explanations seem to satisfy most of us. The same is the case as regards religion. We are satisfied with explanations, and to explain away everything we call knowledge. Is that what we understand about education? Are we learning how to discover, or are we only coming to look for explanations, definitions, conclusions, in order to be able to dull the mind, and stop questioning? The common theme in Saint-Exupery´s authorship, is Man´s ability to wonder, and the loss of this ability. And the ability to wonder is the philosopher´s basic virtue. If you as a Life Artist want to start philosophizing, you must therefore become like a child again. In the longing after returning to the source of wisdom, from where all the philosophical questions stream, philosophy becomes an art of life, an exercise, namely meditation and wordless prayer. On a beautiful evening in Greece, for now many years ago, I read Saint-Exupery´s small book The Little Prince. At that time I was sad and worried, but the book opened my mind, like the sunset opened the evening sky for the stars. 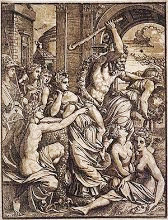 The general theme in the book is humans´ ability to wonder, and the loss of this ability. The first part is the short introduction dealing with the narrator and his wondering view of the world when he was a child, and how adults could never understand the real meaning of things or perceive truth in the world - only the superficial and the usual, because they had lost the ability to wonder. This is generally one of the main ideas of the book; "blessed are the children...". The professor in philosophy Tim Weldon has written a book called Faring Homewards: The Philosophy of Antoine de Saint-Exupéry. The book superbly blends poetic sensitivity and literary history to bring the reader into a full experience of the much-loved but little-known French writer, Saint-Exupéry. This contemplative portrait is painted with a nuanced understanding of the imaginary landscape of the author of The Little Prince; a landscape shaped by the shifting sands of his own historical moment as well as by the timeless truths he embraced in his quest for meaning. Saint-Exupéry´s Catholic childhood and his affinity with Pascal say more, according to Weldon, about the ethical and aesthetic underpinnings of the artist´s thought and work than critics to date have understood. Weldon´s brief but important volume reveals a Saint-Exupéry who is far more than a writer of the world´s most famous children´s story for adults; he becomes, in these pages, a fellow sojourner in the encounter with the infinite. The book is divided into two parts: By Starlight, and By Candlelight. Weldon says that the division was made along metaphorical lines, as he believes Saint-Exupéry viewed the world first through a prism enlightened by the distance of starlight, and then later in life by the more proximate, sobering candlelight. Following a brief biography, the first part of the book includes Saint-Exupéry´s discernible but overlapping and intertwined themes of romanticism and humanism. This part pertains to his worldly focus and the romantic imagery of his earlier writing, composed mainly before the 1942 publication of Flight to Arras. The second part focuses on what Saint-Exupéry believed mattered most, the truths of Catholic Christianity, and its place in civilization. In his last years he focused squarely on such mysteries as our relationship to God, others and human spirituality. Saint-Exupéry´s reflections upon these experiences were not exclusively to but culminate in the last of his novels to be published while he was alive, Flight to Arras. 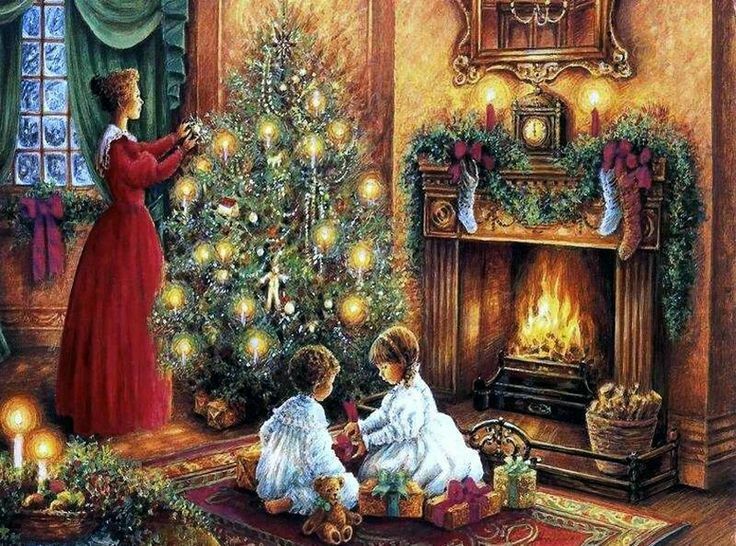 When I was a little boy, the lights of the Christmas tree, the music of the Midnight Mass, the tenderness of smiling faces, used to make up, so, the radiance of the gifts I received. In his autobiographical work Wind, Sand and Stars, Antoine de Saint-Exupéry talks about his wonder over the desert; over the wind, the sand and the stars. His books are filled with wonderful meditations over this, yes, that the nights could be so beautiful, that he, as a pilot over the desert, often felled into thoughts, and was in danger falling down. Saint-Exupéry, an early pioneering aviator, evokes a series of events in his life, principally his work for the airmail carrier Aéropostale. He does so by recounting several episodes from his years flying treacherous mail routes across the African Sahara and the South American Andes. The book's themes deal with friendship, death, heroism, camaraderie and solidarity among colleagues, humanity and the search for meaning in life. The book illustrates the author's view of the world and his opinions of what makes life worth living. “For how many of us had this old omnibus served as refuge in its day? Sixty? Eighty? I looked about me. Luminous points glowed in the darkness. Cigarettes punctuated the humble meditations of worn old clerks. How many of us had they escorted through the rain on a journey from which there was no coming back? I heard them talking to one another in murmurs and whispers. They talked about illness, money, shabby domestic cares. Their talk painted the walls of the dismal prison in which these men had locked themselves up. And suddenly I had a vision of the face of destiny. Old bureaucrat, my comrade, it is not you who are to blame. No one ever helped you to escape. You, like a termite, built your peace by blocking up with cement every chink and cranny through which the light might pierce. You rolled yourself up into a ball in your genteel security, in routine, in the stifling conventions of provincial life, raising a modest rampart against the winds and the tides and the stars. You have chosen not to be perturbed by great problems, having trouble enough to forget your own fate as man. You are not the dweller upon an errant planet and do not ask yourself questions to which there are no answers. You are a petty bourgeois of Toulouse. Nobody grasped you by the shoulder while there was still time. Now the clay of which you were shaped has dried and hardened, and naught in you will ever awaken the sleeping musician, the poet, the astronomer that possibly inhabited you in the beginning. Saint-Exupéry´s most famous book, The Little Prince is the story of the little prince, whom the narrator discovers in the Sahara when he is trying to fix his downed airplane and is in fear of his life. The narrator and the reader slowly come to know the prince's story. Over the course of eight days stranded in the desert, while the narrator attempts to repair his plane, the little prince recounts the story of his life, an account that is often triggered by his preoccupation with the sheep. The prince begins by describing life on his tiny home planet: in effect, an asteroid the size of a house (the asteroid was "named" B-612 by people on Earth; a real asteroid was named after the fictional asteroid). The asteroid's most prominent features are three minuscule volcanoes (two active, and one dormant or extinct) as well as a variety of plants. The prince describes spending his earlier days cleaning the volcanoes and weeding unwanted seeds and sprigs that infest his planet's soil; in particular, pulling out baobab trees that are constantly on the verge of overrunning the surface. "Catastrophe" the little prince would call it. The prince wants a sheep to eat the undesirable plants, but is warned by the narrator that a sheep might also eat roses with thorns. Upon hearing this, the prince tells of his love for a mysterious rose that began growing on the asteroid's surface some time ago. The prince says he nourished the rose and listened to her when she told him to make a screen or glass globe to protect her from the cold wind. Although the prince fell in love with the rose, he also began to feel that she was taking advantage of him, and he resolved to leave the planet to explore the rest of the universe. Although the rose finally apologized for her vanity and the two reconciled, she encouraged him to go ahead with his journey. The prince misses his rose and claims that he only needs to look at the millions of stars to be reminded of his rose, since his rose is on one of them. Through this story the narrator learns about friendship, love and truth in a touching way. It is in other words the little prince, who is the philosopher and not the adult. 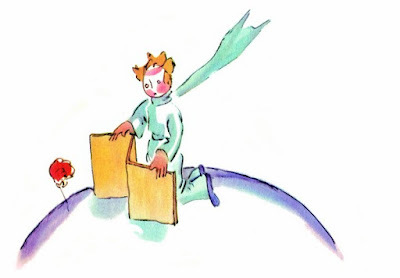 The Little Prince could be an analogy of our own forgotten wonder over life: our inner lost philosopher. Asking philosophical questions begins with wonder, often generated by a severe existential crisis. When philosophy asks questions it directs itself towards the form, not the content. The form is the universal, that which we all have in common. The content is the particular, that which we don´t have in common. If you look philosophical at it, there is a difference between the individual person and Man himself. The individual person is a located being, who lives in a particular country, belongs to a particular culture, a particular religion, and who has a particular content of mind. Man on the other hand, is not a located being. Man is everywhere: the form of consciousness is the same for all human beings. 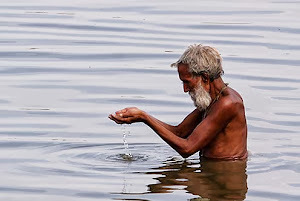 If the individual person only acts in a special corner of the extensive area of life, then he acts without any connection with the wholeness: the form. You must therefore remember, that philosophy always talks about the wholeness, the form, not a part of it, not the content. The smaller is in the larger, but the larger is not in the smaller. The individual person is the tiny image-limited, stagnated and despairing being, who is satisfied with his tiny gods and his tiny traditions, whereas the welfare and weal of all, the sum of the world´s necessity, misery and confusion, are lying Man on mind. The division of human beings, in for instance Westerners and Orientals, is only geographical determined and entirely random. It has no essential importance. Whether we live east or west for a certain border, whether we are brown, dark, white or yellow, then we all still are human beings who are suffering and hoping, fearing and believing: there is unhappiness and happiness here as well as there. There is not a special Western or Eastern way of thinking when it comes to Man, but the individual person creates these divisions on the basis of his background, which is limited by the images of time: the content. Love is not geographical determined, it is not hold in honour on one continent, while it is denied on the other. 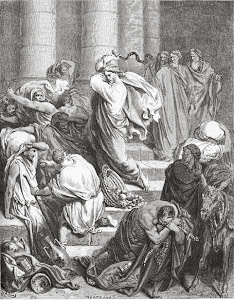 When individual persons in this way divide mankind, it is often because of economical reasons or ideological beliefs, and it happens with the purpose of exploitation. This does not mean, that human beings not are different in temperament etc. There are similarities, and nevertheless there are differences. It means that the understanding of the individual person not is philosophy. The understanding of the individual person belongs to science. In philosophical respect we are the same. Philosophy asks after that, which makes a human being into a human being, the common or universal, which all of us are part of, in spite of the fact, that we can behave so differently and be studied in so many different ways. Here it is about what we can term the human nature, and the question is not solved by seeking concluded answers in religion, ideology or New Age spirituality, and nor is it solved scientific by experimenting, collecting systematic observations, and from them create theories. It is solved by thinking and meditating over everything, we already know about Man, and by seeking unity and coherency in it. The wholeness is the reason for that philosophy are seeking unity and coherence, and therefore are using logic as a tool. The truth in philosophy is something a philosopher strive after experiencing, whereafter this experience can be written down. But the answers philosophers write down in books are not the truth. They aren´t conclusion to anything. They are to discussion. Philosophy throws out answers to the questions, argues for the answers in a rational and logical way, and investigates their consequences. Written down answers are in constant change. That´s how the history of philosophy moves. The answers are fingers pointing at the moon. The fingers shouldn´t be confused with the moon. But it is clear that some answers are better rationally reasoned than others; they are longer lasting, they are more whole. So, in philosophy Man isn´t only a result of a single influence. Man is much more complex, and to emphasize one influence, and at the same time understating others, is to cause a lack of balance, which will lead to even bigger lack of meaning and coherency, and therefore to even bigger chaos, much more confusion. Man is a complete process. There must be an understanding of the wholeness, and not only a part of it, regardless how important this sometimes may be. Only the specialized is fixated in a determined cause, and in this way also in a determined effect. Where there is specialization there is stagnation. Man is not a specialized being. He can break through his limitation, which is created by the images of time – and this he will have to do if he wants to experience reality. Human nature is the whole of mankind, and do not belong to a certain category. But with the individual person´s mind follows the complicated problems of split, contradiction and war. So in order to understand yourself you must understand that Man is an inviolable whole, not only a determined being, as for instance a society being with his particular assigned job: a worker, a citizen, a consumer, or a political being, right wing or leftist, or a religious being, Christian, Moslem, Jew, - but a complete whole in which an interaction and a reciprocity takes place. You must realize, that suffering and split origin from ignorance about your own human nature. As long as you don´t understand yourself, your perspective on yourself and on the world, your personal history, you must, whatever you do, and in whatever area, unavoidably create separation, despair and suffering. In order to understand yourself you must go out on a voyage of discovery. A voyage of discovery, that goes into your ego and your personal history, and therefore into time as a whole. You must travel up The River of Heraclitus, you must travel up the river of time, which not only is your own personal history, but also the collective and universal history. You must become a life artist. In that way philosophical questions function as a kind of Koans. A Koan is a story, dialogue, question, or statement, which is used in Zen practice to provoke the "great doubt" and test a student's progress in Zen practice. The ability to wonder (or to be skeptical, critical) is the philosopher´s basic virtue. If you as a Life Artist want to start philosophizing, you must therefore become like a child again. Children seems to come from eternity, or the wholeness. It seems like you automatically begin to philosophize when you somehow get a sense of looking at things from the perspective of the wholeness. Therefore enlightened masters also always are philosophers, no matter whether they have any formal education in philosophy or not. Krishnamurti was an exceptional example of a philosopher thinking for himself all the time, but he hadn´t got any education in philosophy. Sub specie aeternitatis (Latin for "under the aspect of eternity") is, from Baruch Spinoza onwards, an honorific expression describing what is universally and eternally true, without any reference to or dependence upon the temporal portions of reality. In clearer English, sub specie aeternitatis roughly means "from the perspective of the eternal". Even more loosely, the phrase is used to describe an alternative or objective point of view. In the longing after returning to the source of wisdom, from where all the philosophical questions stream, philosophy becomes an art of life, an exercise, namely meditation. In this movement in towards the source (the form, the universal, the wholeness) you begin to ask philosophical questions in a meditative-existential way: Who am I? Where do the thoughts come from? What is consciousness and where does it come from? Is there a meaning of life? How does man preserve peace of mind and balance in all the relationships of life? How do we learn to appreciate the true goods and flout all transient and vain goals? Is the destiny of Man part of a larger plan? Finally, in philosophical pedagogic, there isn´t given answers. Philosophical pedagogic is an invitation to wonder, to think for yourself, to become a light for yourself, to develop your own teaching. Krishnamurti said: “I invite you to become aware of your unawareness.” Kierkegaard said basically seen the same: “The only thing I do is to invite to awareness of your paradoxical nature.” Philosophy is about awakening our innate awareness, it is about Learning to See with your Heart. The central debate in classical modern philosophy is between the epistemologies of rationalism (Descartes, Spinoza, Leibniz, hegel) and empiricism (Bacon, Hobbes, Locke, Hume). The issue is the priority of reason or sense experience. Both epistemologies ignore a more ancient organ of knowing: intuition. Pascal appeals to this in his famous saying: “The heart has its reasons which reason knows nothing of.” This is not a justification of sentiment, feeling, or desire over reason, but an expansion of the meaning of reason beyond “calculation” to “intuition”. Intuition is about the art of seeing with the heart. Through the teachings of Learning to See with the Heart, the Life Artist perhaps becomes able to obtain a complete perception of life, without any division and separation. A perception which consists in, that you fully and totally exist; where you are what you are in progress with; where there are no inner spectator, theorist or doubter within you. Learning to See with the Heart is about seeing the whole thing, everything as a whole; that is to say: where you in self-forgetful openness are allowing the thing to fill you out. Seeing is a presence of something, which is not hidden. It is a presence of something evidently, something the individual has a clear understanding of. It is a presence of something straightforward, a presence in naturalness. It is a perception where you so to speak become drawn into the thing, and are melting into a unified wholeness, which contains middle, fullness and light. Usually this happens in a short glimpse, inconspicuous; what you often describe as intuitive cognition. Suddenly you understand something. There is no causal explanation for it. Man is in habit of seeing the things from outside, fragmented. You observe the tree as something separate, you observe your wife or husband, as something separate, the office, the boss – everything in fragments; that is to say: from outside as something cut off. Meditation is about seeing the world, which you are a part of, completely, as a complete whole and not divided; that is to say: where you fully and totally exist, and the important is present and real; without letting the past and the future separate the Ego, the observer, who places himself outside the observed, which is life itself. In the same way, you can look at all the questions of life as a whole, and not as isolated parts. All this is the complete perception, where you not are outside, but in the middle of life itself. And then you truly are a Life Artist. It is therefore completely central for the Life Artist to investigate the nature of experience, the way in which you can observe, listen, see. As a Life Artist you must try to find out, whether it at all is possible to see with more than just one side of your being: sight, intellect or feelings. Is it altogether possible to observe very closely, without that there happens a distortion? In the Life Artist it is worth the effort to investigate this. What will it say that you see? Can you observe yourself, observe what you in reality are: desirous, envious, worried, fearful, hypocritical, deceitful, self-assertive – can you quite simple observe this without distorting it? It of course requires, that you learn what it is to see in philosophical sense. The word philosophy means love of wisdom, or love of learning. To learn in philosophical sense is a continual movement, a continual renewal. It is not ”to have learned”, and see on the bases of that. Usually we see on the bases of a memory about what we have learned, and have experienced; memory is the starting point. This is therefore not to see, not to learn in philosophical sense. That something is learned in philosophical sense presupposes a mind, which each time learns anew. There must be a creative emptiness. The mind must therefore always be new and ready to learn, just like a child. For that reason it doesn´t interest the Life Artist to worship memory, but rather to observe, see and experience what really happens. As a Life Artist you must try to be extremely aware, awake, so that the seen and learned don´t become a memory from which you see, and which in itself is a distortion. You must see each time as if it was the first time! But what is it you must see? Regardless what problem, what thing you as a Life Artist are dealing with, then the starting point is yourself. Over the door into the temple in Delphi there stood: Know thyself! Self-knowledge is fundamental within all wisdom traditions, which look at philosophy as an art of life, both in the East and the West. For instance it was the returning meditation technique in the Indian philosopher Ramana Maharshi, all the time to ask himself the question ”Who am I?”, to everything, that happened to him. When Ramana Maharshi asked Who am I? he answered like this: I am not...for instance I am not my body, I am not my reactions, I am not my feelings, I am not my thoughts. So, the whole of Ramana´s teaching was about motivating the different seeking people to turn their search in towards the Source of the thoughts and consciousness. Who am I? Where do the thoughts come from? What is consciousness, and where does it come from? Philosophical questions asked in a meditative-existential way. Self-knowledge is the door you must open in order to reach into the source of the secret: your total being. And that is precisely not pleasant, therefore is it the fewest who do it, but thereby they also miss the most wonderful in life, which reveals itself when you have opened the door. What you must see, and experience, is what you in reality are. But to see, to observe and experience what you are, on the bases of a memory, means that the memory dictates, forms, or controls, your experience, and therefore it is already distorted. The Life Artist must seek to find out what it means to experience. The scientist is perhaps seeing something through a microscope, and is observing it closely; there is an object outside himself, and he observes it without preconceived opinions, though with a certain knowledge, which he necessarily must have in order to be able to see. But the Life Artist observes the whole structure of life, its whole movement, including the whole of the being, which is ”yourself”. This can´t be experienced with the intellect alone, or with the feelings alone, nor with any conclusion concerning right and wrong, or what ”not must be”, or ”should be”. When you therefore start a philosophical way of life you must, before you thoroughly can study yourself and life, be aware of the thinking´s addiction to say yes and no, to comment, deny and accept, to arrive at conclusions; this ongoing process, which will distort the experience. The Life Artist must therefore seek to understand the nature of experience, the beauty in observing, in seeing neutral as in a mirror, and in feeling deeply and incisively without seeking to achieve anything. As long as the mind of Man in any way is distorted – by neurotical impulses and feelings, by fear, despair, by self-assertion, snobbery and striving after power – it can´t possibly listen, observe, see neutral. But this art of seeing, of listening, of observing, is nothing you just can choose to do, and nor is it a question of thinking, which develops towards something else. When a person is aware of a danger, there happens an instant action; the instinctive, immediate reaction of the body and the memory. From childhood Man has been used to meet a danger in this way, so that his being at once reacts in order to avoid physical destruction. The Life Artist must ask, whether it in the same way is possible to act immediate, spontaneous, when something is seen - without that it happens on the bases of your historical limited background. Can the human being react free, and at once, to any kind of distortion of the experience, and therefore act spontaneous? That will say an action where sensation, action and expression, are a wholeness, where they are total, and not divided in fragments? This is what happens in meditation and wordless prayer, in the passive listening presence. In accordance with the Taoists, the actual thing to be present in passive listening (wu-wei), is the same as to act spontaneous (tzu-jen). Any spontaneous action is an expression of, that there is a passive listening presence, a space between the thoughts. When for instance the Taoist is seeing, that there is fear, he observes it neutral as in a mirror, without saying yes and no, and feels it deeply and incisively, without seeking to achieve anything with it. The actual experience in this passive listening presence, makes the experience free from fear; and that is to act spontaneous. In all this the unknown is at stake; reality or truth. Learning to See with the Heart is in other words to enter into the unknown. Besides meaning love of wisdom, the word philosophy also means love of the unknown. But a mind which in any way is historical limited by the known, by its own perspective, - the personal and collective images in time, which all fear-conceptions, ambitions, desires and disappointments, are manifestations of, - can´t possibly enter into something, which presupposes discrimination; that is to say: a balanced, harmonic being, who is healthy on both body and soul. Learning to See with the Heart has nothing to do with concentration, all that which sort under the supporting exercises. Learning to See with the Heart is itself the art of life. Art of life means that you are present, that you are listening and observing passive with the whole of your being, with your body, your nerves, your eyes, your ears, your mind, with the heart, completely. It is this, which is meant with, that art of life is a philosophical way of life, something, which concerns your complete existence, the whole of your way of being in all the relationships of life. In this complete presence – in which there is no division between the observer and life itself – you can do anything; and in such a presence there is no resistance. Art of life is an attempt directly to discover and experience truth. In order to be able to understand truth you must be exceedingly present in passive listening, and logical, healthy, reasonable; observing and feeling any of the movements of the thought, without evaluating them, and without attempting to achieve anything with it. Then this sense perception in itself is a complete act, and you can thereby be released from the thought, and achieve wholeness-cognition. Learning to See with the Heart is to learn how to see the wholeness. Philosophy as an art of life is therefore not the chase after a thought or an idea. It is all thinking´s essence, which is to go beyond all thought and feeling. 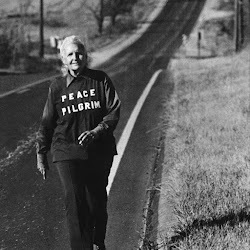 It is, as Plotin said, the thinking´s journey back to its own Source. Not until then philosophy is a movement into the unknown. Learning to See with the Heart is a voyage of discovery into the known, into your own perspective and history, into the whole of your world of ideas, knowledge, faith and experience, and through discrimination, to be released from it, and thereby to enter into the unknown, into the Source of wisdom. On this journey you are in company with Frodo and Sam. At least a dozen times during his quest Frodo chooses to follow his heart over his calculating reason and his experience, and most of the time the choice turns out to be crucially right. Tolkien´s epistemology includes trust in Learning to See with the Heart. But the heart is not an infallible organ. Sauron´s and Saruman´s hearts and intuitions mislead them (they looked only with the burning third eye – Sauron´s eye is completely cut off from any bodily connection). For Learning to See with the Heart, unlike reason and sense experience, depends on moral goodness; it is trustworthy only in the virtous, and the virtuous is what the Conspiracy of the Third Eye is closing the access to. So virtue is part of epistemology! Epistemology depends on ethics; knowledge (of the highest and most important things) depends on goodness. That´s what Jesus said, after all: “My teaching is not mine, but his who sent me; if any man´s will is to do his will, he shall know whether the teaching is from God” (Jn 7:16-17). And, “Blessed are the pure in heart, for they shall see God” (Mt 5:8). We must be careful here. This is not “Get in touch with your own higher consciousness”, “Listen to your feelings”, or even “Feel the Force”. Frodo is humble and knows he lacks the wisdom the Quest demands, so he listens to others, to his superiors, and to tradition. And when he has to rely on his own intuition, it is his moral innocence, not any epistemological or psychological method, that saves him. Taken as a whole, Saint-Exupéry´s written work was about the visceral, lyrical, and even philosophical explorations of some of the deepest mysteries of the human experience: the presence of God in our lives, the human person understood as body and soul, the place of love and spirituality in human nature, human solidarity and the state of Western civilization, the awesome wonder of beauty, and so on. At times, employing the voice of the humanist, but mostly assuming the voice of a Catholic thinker, the merit of Saint-Exupéry´s writing lies in his plainspoken interpretations of these timeless meditations. Lost to the world in mid-life, we are left to ponder the genius that was and might have been. “It´s impossible to say if he was shot down, if he lost consciousness, or if he had a mechanical accident,” said Patrick Grandjean of the National department of Subaquatic and Submarine Archaeological Research. Naturally, the mystery fostered controversy. The wreckage of Saint-Exupéry´s plane showed no signs of air combat, nor were there any claims in the records of the German military to their shooting down an Allied plane on July 31, 1944. Luc Vanrell, the local scuba diver who thought he discovered the wreckage years before the French government´s confirmation opined publicly that Saint-Exupéry must have committed suicide. But no one knows. If one were able to return. 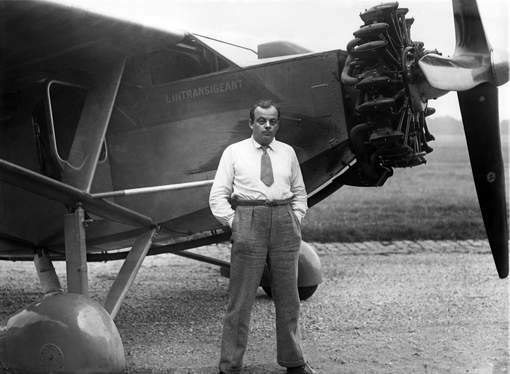 The solemnity of death, with the full weight of its mystery, was also to influence the younger Saint-Exupéry. The ending of The Little Prince is somehow sad. There’s no two ways about that. The prince has left the Earth—it looked like he died when the snake bit him, but his body is nowhere to be found. 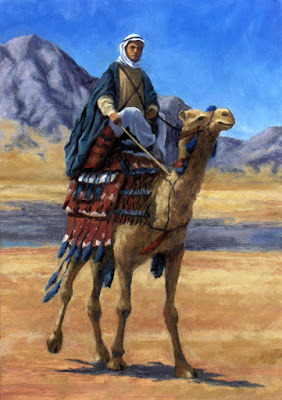 The narrator’s made it out of the desert, but that seems like nothing compared to wondering what happened to the prince. And the sheep. And the rose. The Little Prince says he is responsible for the rose´s safety. The narrator’s got questions that can’t ever be answered. Whether the sheep has eaten the rose or the rose is safe is a “great mystery”. This mystery, he says “alters everything”. But the ending also holds possibility for hope, because we don’t know exactly what happened. Perhaps (we hope!) the prince made it safely home to his flower. Perhaps he remembers to keep the sheep away from his flower. Perhaps all is well up there in Asteroid B-612. That’s why, in the last two paragraphs of the book, the narrator turns to us readers and begs us to keep a look out for the prince, too.